There’s a back story for this place: about the original Back Forty over in the East Village, about the previous restaurant at this Prince Street location — the Savoy, and about who prefers which or why. I haven’t lived in NYC since the 70s; I’m just visiting the city; so for me, no worries. For me, it’s enough that our Sunday afternoon, “brunchy” food is lovely to look at and tastes wonderful. The kale salad [Is that green leaf everywhere these days?] 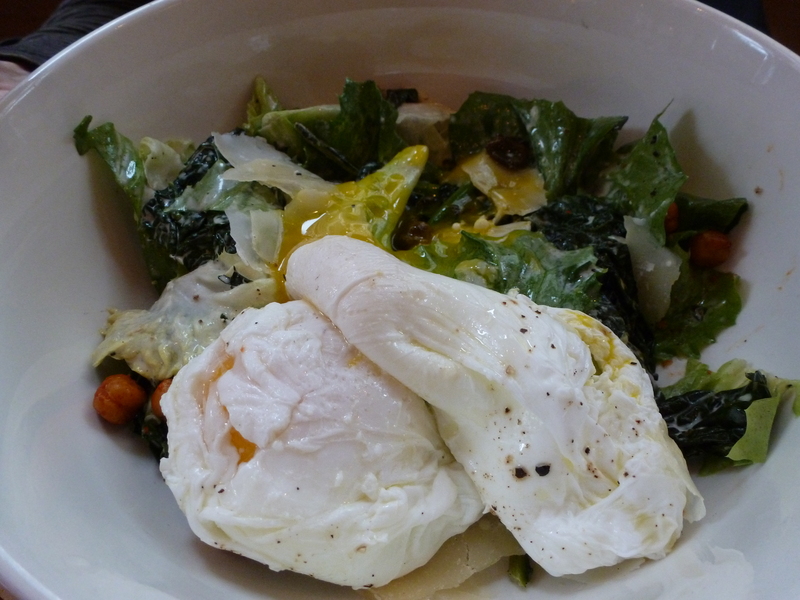 is like a Caesar, except topped with two poached eggs. Roasted garbanzo beans replace croutons. Two fun updates. 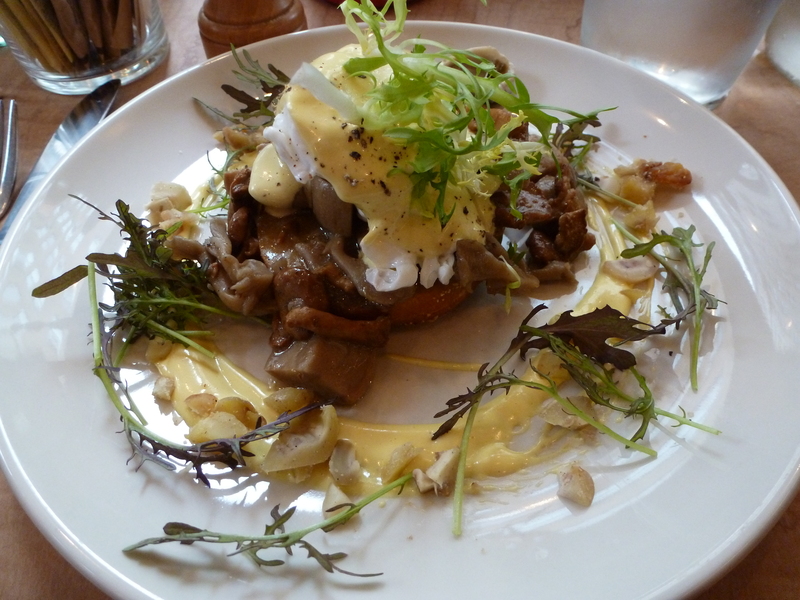 The re-imagined Eggs Benedict substitutes mushrooms for an English muffin and features a scattering of bitter greens which work nicely with the Hollandaise. It appears as “egg sandwich” on the bill — perhaps a clever reference to the most famous re-imagining of Eggs Benedict, the Egg McMuffin. I also had a Bloody Mary which, for better (I think) or for worse, had more horseradish than I’ve ever experienced without catching fire, plus a lovely celery flavor. Originally reviewed for Trip Advisor — January 23, 2013.